There will be no more hearts and rainbows. No more butterflies and unicorns. No more mermaids and fairy dust. The sun will never feel as warm. Chocolate will never taste as sweet. The stars will never shine as brightly. For your light has gone from this earth. But you will always be our strongest, bravest girl. But you will always be the most beautiful girl. But you will always be the best big sister. But you will always love school and learning. But you will always have the wonderful friends who gave them to you. You will never have a Christmas with us again, But you will always believe in Santa Claus. But you will always have done so much. But you will always love art and animals. But you will have taught us all about life and love and you will always be our daughter and Andrew’s sister. I will always be your mommy. But we will always see you in our hearts. But we will always remember the joy you gave us. But you will always be the light in our lives. You will always be our Mia. You will always be an inspiration to us all. You will always be our miracle. We will always be a family. We will always miss you. Our hearts will always be broken. Mommy and Daddy and Andrew will love you forever and always. on Wednesday, 01 August 2007. Today and the rest of our lives is a celebration of 9 years of life and the joy and happiness that Mia gave to all of us. 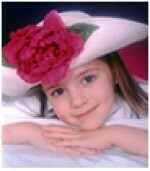 Mia was our daughter, sister, grand daughter, niece, cousin, great niece, friend, student, shining light and angel. Mia loved so many things in life, School, family, friends, Art, reading, Disneyworld, Horses, Puppies and being a big sister just to name a few. Over the last 3 years we all prayed and hoped for a miracle but it did not come, it did not come because it happened on May 23rd 1998. Mia was here on earth to make us all better people, this is our miracle. Over these three years Mia fought like nobody else could fight, she led this fight but her Doctors, nurses, hospital staff at Lutheran General, teachers at Bright Horizons and Woods Creek, Our co-workers and friends, Church, friends from near and far, neighbors, strangers, our fabulous families, Mia’s friends and schoolmates and her Mommy, Daddy and Andrew all fought with her but we all took the lead from her. You have all supported us in so many ways over the years – Pizza Hut Making Magic for Mia, Splashtacular, Relays for life, Food, Make a Wish, Bear Necessities, Child Life at LGH, miaedge.com, Bravehearts and the list goes on. We did many things over the past three years, many of which we may not have done, Disney 3 times, Aquarium 2 times, the Zoo, American Girl, Stayed Downtown, Baby Abigails house, Cousin Matty’s house, Lake Placid, Trips to Moma and Papas house and Grandma and Grandad’s house, Horseback riding, First Communion. The simplest and purest way to describe Mia is to use some of the words and phrases that you have all used to express how Mia brightened our lives. • Her smile and strength will live in our memories for ever. • Her courage and her wonderful positive attitude touched all around her. To Mia’s friends, Andrew is still going to need a big sister as he grows up. Mia will always be with you so make sure that you leave room for her at your parties and graduations. You won’t be able to see Mia but she will be there smiling, laughing and giggling with you. To everyone, Mia does not want us to be sad and gloomy that is not our Mia, please help us to continue to live life in the way that Mia did as by living life to the fullest as that is the only way to truly honor our beautiful angel.